Pledges may be made at any time during the year. Every spring we request our members to consider their intention to support the our operating budget. Your pledge helps us plan and budget for our work in fulfilling our mission and vision. YES! 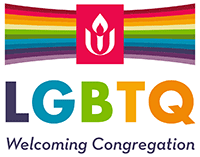 I / We support the Mission and Vision of the Unitarian Universalist Church of Bowling Green, its programs and activities, by pledging to help meet the needs of the operating budget for the coming church year.